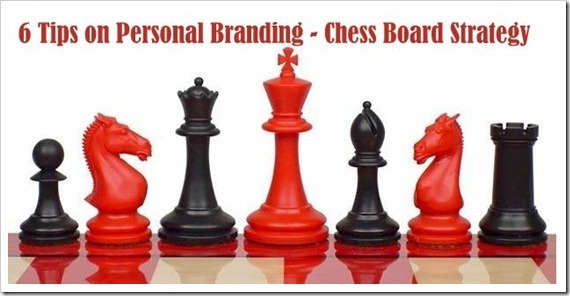 The game of chess has been providing intellectual euphoria since time immemorial; and now it is all set to give your personal branding style, a strategic makeover. Your Personal Brand or Unique Brand Value Proposition that you treasure, is the King of the Game and is what is at stake. The end result of this stimulating game of branding is a truly invincible Brand You that has been created, to stand tall and strong. Your Personal Brand is a summation of the working protocol of your Brand Army-your knights, bishops, rooks and the pawns, which are the fierce guardians of your Personal Brand. Like the Queen, Your Brand Positioning is the trump card of your game. Use your Brand Positioning to reach out to your audience, as the exclusive value proposition of yourself. Use your Queen wisely, to strategically create a roadmap for your Brand, into the hearts and mind of your target audience. Remember, there is only one Queen, who is irreplaceable; you have to create an exclusive positioning in the Industry, which none other can replace. Your Brand Voice is the communication strategy you adopt to announce your brand’s arrival on the circuit. It is your Knight in shining armor that is responsible to communicate your Brand Reputation, and more importantly defend it and sustain it. Ensure a healthy harmony between your digital brand voice and your physical brand voice, so that your knight can persistently check your desired brand reputation in the industry. Exploit the creative pursuit of your Bishop to create an impressive and inspiring digital brand identity. Inspired by the Bishop’s diagonal pursuit for victory, your brand should diagonally i.e. creatively explore the realm of digital media, to create a formidable identity that reinforces your Rook’s(physical brand) efforts. Build an invincible digital brand by creating your unique digital DNA with the help of these 23 web chromosome pairs that redefine your personal brand, online. Your Physical Brand is your most powerful asset; just like the Rook, YOU have the power to transform your game. Whether in its native element or during the magical move of castling(by turning on your brand’s charisma), your Rook is capable of being the one man army, with its innate might to move the mountains, single handed. Revel in the glorious strength and presence of your physical brand, as it is indeed in totem, your personal brand. Hail thee true guardians of your mighty Brand, with much fanfare, applaud and reverence! People experience your Brand via a number of touch points; each of these touch point is a true guardian and champion of your personal brand. The eight humble pawns which shoulder the responsibility of sharing your brand experience with the world are here to claim the honor! So, draw out your Brand Board and set the stage for a Strategic Personal Branding Power Play. Go ahead, Let the world now experience an Intellectual Brand-U-phoria; Courtesy: Your humble, yet invincible chess board.